Today’s Retailers need to understand and accept the fact that “Loyalty” is an overused, overexploited concept and does not excite new age shoppers who are much more aware of the products & services and are more demanding. 08 Jul Does “Loyalty programs” any longer excite millennial’s? Recently I was brainstorming with one of my good friend who is also a retail professional in developing a loyalty program. My inspiration to write this article comes from the feeling that how we (marketers & retailers) tends to get myopic and lose out on overall objective or big picture. Securing customers’ loyalty goes beyond having a loyalty programme. Winning both Hearts and Minds is a big challenge for today’s Retailers. Can you build customer’s loyalty using Top of Mind recall? Can you win customer’s loyalty by providing him/her great in-store experience? If you have answered “Yes” to any above first 3 questions, then work on the same and delay launching any new loyalty program. Traditional financially driven loyalty schemes can become a financial liability for businesses if not properly planned in initial stages itself. Your initial plan should very well capture the proposed sales expected by loyalty card and expenses that would be accrued to run it smoothly. Traditional points-based schemes are often not agile enough to meet rapidly changing customer expectations in the same way that ‘connected stores’ and new technologies can engage with consumers. Today’s customers are exposed to Gigabytes of advertising information daily that they no longer value the reward that is offered in the end (post-purchase). For example, Majority of hypermarket retailers offers approx. 1% of customer’s purchase as loyalty rewards i.e. On spending DHS 2000/-, a customer can expect a reward of DHS 20/- (approx.). Retailers today are in kind of rat race… “Oh my competitor has a loyalty programme, why should I miss the bandwagon”. They tend to ignore their customer’s shopping habits, their frequency of store visits, their basket size, are they value seekers or discount lovers. Today’s Retailers need to understand and accept the fact that “Loyalty” is overused, over-exploited concept and does not excite new age shoppers who are much more aware of the products & services and are more demanding. Although the word ‘loyalty’ is often associated with the points and financial incentive schemes that were launched over 30 years ago, these schemes have lost its relevance in current times. Loyalty should be about more than just collecting points. If not innovated, your Loyalty club would end up looking like Me-too offering. Segment your customers, ask your store teams as to what is making their regular customer come back to their stores. Use technology in making the customer’s purchase cycle Seamless. Loyalty is often tied to routine, so any innovation that simplifies a routine while enhancing the customer experience is a reward in itself. Understand from your customers as to what drives loyalty in them for your brand. Is it discounts, happy hours or convenience, customer service, good assortment of large merchandise offerings? Winning loyalty in the Digital era needs a mix of Personalization, Engagement, and a sense of Exclusivity across all different channels (in-store, website, mobile app, social platforms). As per a study conducted by Deloitte research when it comes to consumers’ attitudes to loyalty programmes, research shows that personalization and relevance are high on the list of what consumers expect from a loyalty scheme. The study showed 41 percent of consumers agree with “Loyalty schemes help brands know what their customers want and provide them with helpful suggestions and rewards, (e.g. receiving vouchers and coupons on products they buy regularly)”. Amazon Prime, which offers free streaming of thousands of movies and TV shows and, most important, free two-day shipping on most Amazon purchases. The service usually costs $79 annually, though it’s cheaper for college students ($39 annually, after six months free). Subscribers not only ordered more often but after paying the $79 fee, they started buying things at Amazon that they probably wouldn’t have in the past. Since shipping was always speedy and free, members saved themselves a trip to the store for things like batteries and coffee beans. 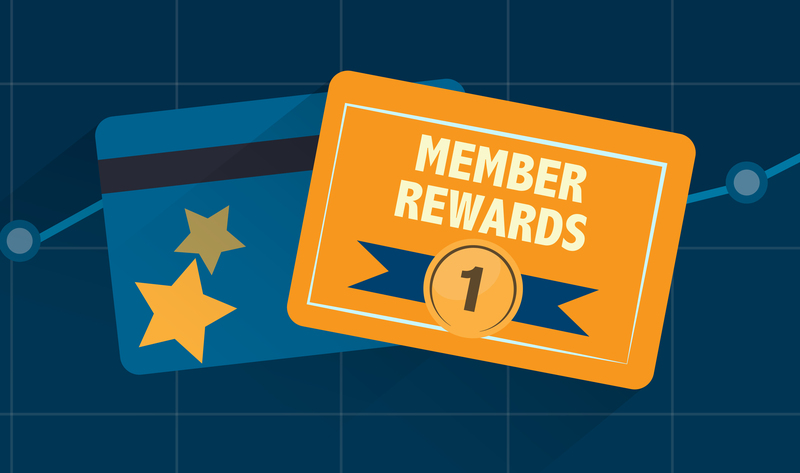 Can your loyalty program boost of statistics like Amazon’s Prime. If not, then your loyalty program is on its way to becoming a liability for your business. It’s time to run a timely checklist & overview of your loyalty program. My article is my attempt to help retailers who are either planning to launch their loyalty program or looking forward to fine-tuning their existing program. I would be glad to share my wisdom with any of the retailers who believe in having an innovative loyalty program which can put them in a different league altogether. Really sir very helpful it all for us. N thanks for Sharing your experience with us..
thanks afzal. I am glad you liked it.